Don’t let the texture mislead you, this is one smooth operator. 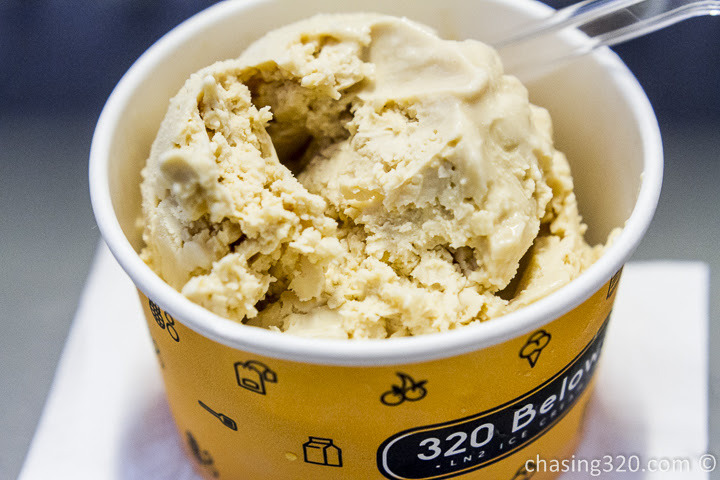 Due to how cold liquid nitrogen is, there is less crystallization and that gives us a smooth ice cream. Creamy goodness that melts longer in your mouth. Is also requires less sugar. Welcome to the world of liquid nitrogen ice cream. This is the my latest craze and one of the best things to cool down on a hot humid Singapore day. The Thai Coconut is really good probably is the top seller here. This is the salted caramel. Imagine popcorn ice cream. Good coconut chunks and very refreshing. This ranks as one of the best things to have been invented besides coconut milkshakes in Phuket. With most of the salt gone, caremel is what’s left. Not too sweet but by the time you’ve finished, you’d want a change in flavor. By this time, I’ve had too much ice cream and my mouth was having cold burns. Yes, it was too cold and I lost some taste. Even right now, 2 days later, I can still feel a certain layer in my mouth, that feeling you get when you put something too hot in your mouth and it burnt, well this time it was too much cold. Liquid nitrogen after all is -321 F.
One thing I like about 320Below is the quantity of ice cream. You get a good serving and to be honest, 2 is the most you can go for. Kuala Lumpur : Suki-ya at Paradigm Mall.